compiled by George Poulson (1829). On CD Rom. Delivered FREE anywhere in the world direct from the supplier. 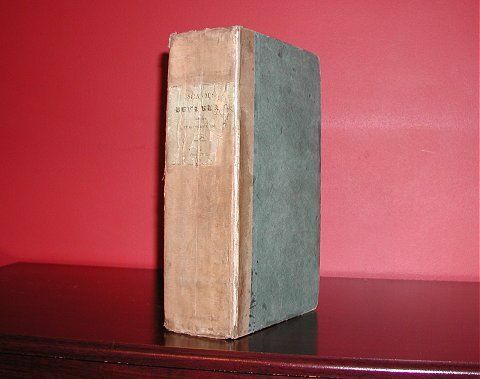 "The History of Beverley" (also known as "Scaum's Beverlac) was compiled by George Poulson and published in 1829. The book contains well over 900 pages, along with 26 illustrations and 6 pedigrees. The comprehensive index for the book has been transcribed, as have the contents of the book, the list of illustrations and the list of pedigrees, which are given below. To buy the book now will cost you around 200 pounds. "BEVERLAC, or the Antiquities and History of the town of Beverley in the County of York, and of the Provostry and Collegiate establishment of St. John's", with a minute description of the present Minster and the Church of St. Mary and other Ancient and Modern Edifices. 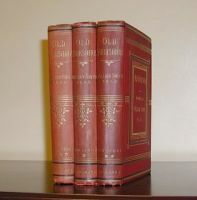 Compiled from authentic records, Charters, and unpublished Manuscripts, with numerous embelishments. By George Poulson, Esqr . Late of the University of Oxford. The preface of the book from the CDrom can be read on-line with an Acrobat reader. If you do not have Acrobat Reader, it can be downloaded free from the Adobe web-site. All the religious institutions are more than adequately covered. St. John’s , the Minster, St. Nicholas and St. Mary ’s receive much attention due to their significance in the town’s history. The independent and non-conformist chapels, the hospitals St. Giles , Trinity and others; the charities and the workhouse; they are all there in a wealth of detail. Lithographs of the institutions and their internal fitments, monumental inscriptions and testamentary burials further embellish the history. Really nothing has escaped the Georges – Scaum and Poulson – writer and compiler respectively. To me “The History of Beverley” is not just a good history book; it is an extremely good read. It is, in my opinion, also a terrific resource for those interested in family history generally, not confined to those with Yorkshire roots. The inclusion of ‘Old English’ and Latin documents, the terms and the words of the times, the comprehensive explanatory notes and the ‘Miscellanea’ pages really make it a ‘should have’. This is also not a ‘one read book’. “The History of Beverley” deserves, and needs, to be read and re-read and, thanks to Colin Hinson, the pages cannot be damaged!. “These are the minutiae of which posterity is ever most fond. They are the omissions which historians in their grandeur disdain to record, which the humble reader painfully labours to recover”. List of contents of "The History of Beverley (Beverlac) "
List of illustrations in "The History of Beverley (Beverlac) "
List of pedigrees in "The History of Beverley (Beverlac) "
Click here for the transcribed index.